Not all Spring Break trips include sun, sand and surf. Instead, a group of WVU School of Public Health students chose a mountain retreat like no other. 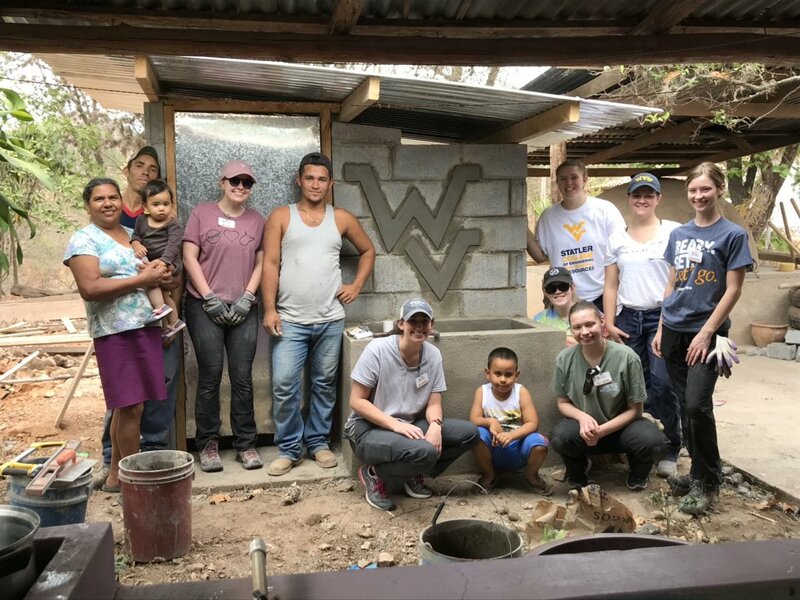 From March 9-15, 13 WVU students traveled to the mountainous region of Honduras to participate in the Global Brigades movement. An international non-profit organization, Global Brigades aims to improve equality of life by empowering communities to resolve global health and economic disparities through student volunteers and local teams. During their week in Honduras, WVU School of Public Health students taught young children the importance of disease prevention. Photo courtesy of Fiona Galley. 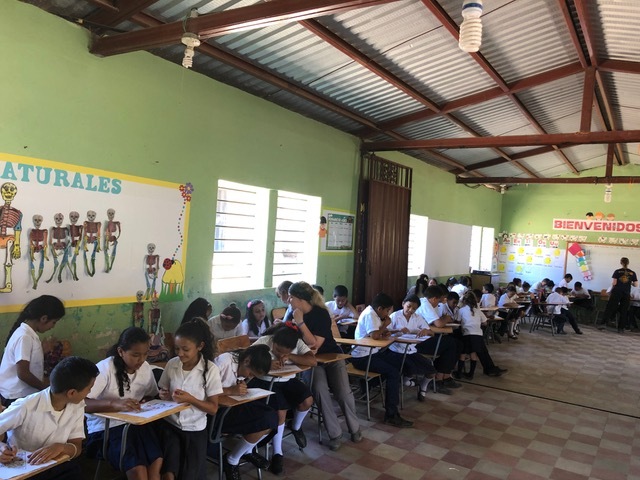 Operating across four countries – Honduras, Panama, Nicaragua and Ghana – Global Brigades provides student-led public health, medical, dental, engineering, water, business and legal empowerment programs to meet a community’s development goals. West Virginia University provides opportunities for students to be involved with public health, medical and dental service projects. In rural Honduras, more than 1.25 million people lack access to clean water, and 40 percent of people lack access to improved sanitation infrastructure. WVU students were ready to improve those conditions. Throughout the week, the students worked to prevent common illnesses by providing in-home infrastructural development, community leader training and health education. The students first learned about the community’s challenges and needs, touring the area, conducting household assessments, and meeting with local leaders and families. Once they determined the greatest needs, the students spent three days constructing sanitation stations for two families. 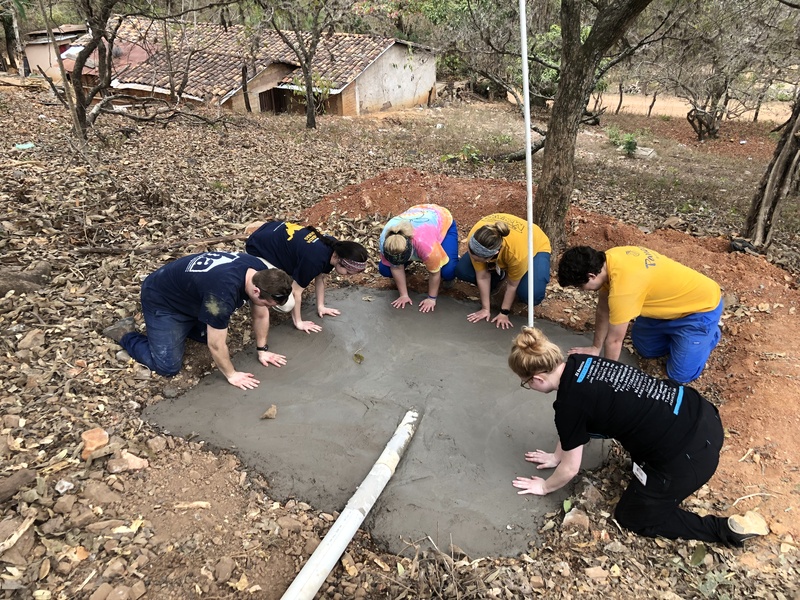 WVU Public Health students leave their mark in Honduras with handprints in the foundation of one of their sanitation station projects. Photo courtesy of Fiona Galley. Students constructed sanitation stations for two families while in Honduras. Once the infrastructure was in place, students met with the local Basic Sanitation Committee and Community Health Workers. These groups advocate for public health projects and promote preventative healthcare and overall community health, which helps ensure the long-term sustainability of the students’ projects completed. Six of the 13 WVU participants were School of Public Health students, including Galley, Cassidy Adams, Erin Kersey, Tayler Lee, Allison McCracken and Alison Stottlemeyer. Other participants included students from the Immunology and Medical Microbiology, Medical Laboratory Sciences, Nursing, and Exercise Physiology programs at WVU.